After falling behind 35-10 at half, the football team stormed back, scoring 22 unanswered points in the fourth quarter, but fell short of the victory, losing their first playoff game to Loyola 35-32 on Oct. 28. 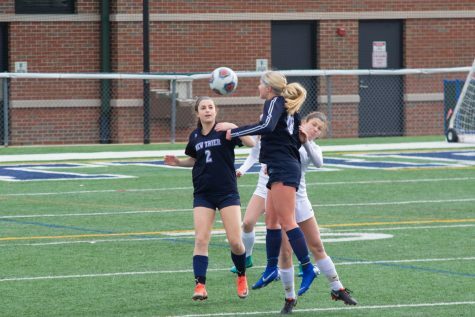 Getting outplayed in the first half and the third quarter, the Trevs found weaknesses in Loyola’s defense making big plays. “We fought back and made it probably one of the more interesting high school football games that anybody would have seen this year,” said varsity head coach Brian Doll. Reed Bianucci and Carson Ochsenhirt both had strong fourth quarters throwing and running the ball. “Brian Kaiser had a couple big catches and Anthony Nicholas, Danny Passeri and our offensive line did a great job blocking,” said Doll. 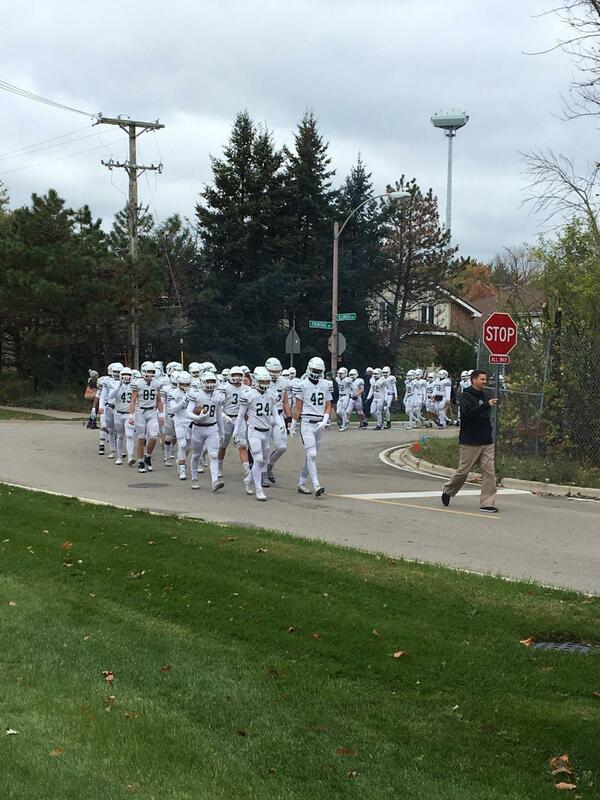 Junior running back/outside linebacker Brian Sitzer attributes New Trier’s success to passing. The team felt prepared going into the game and excited to play Loyola for the first time since 2006. “We felt good knowing they are a great team but we felt like we had a good game plan and our kids were ready to play,” said Doll. After a solid week of practice, the boys felt well prepared to take on their rivals. “We were all excited. We knew how important this game was and knew the environment was going to be intense with it being a rivalry. We had a great week of practice coming into the game on Saturday. I tried to stay focused throughout the week knowing how critical of a game it was,” said Sitzer. With the season at an end, players and coaches are grateful for the successes they had. “We had some difficult losses this year but sometimes it’s more than the wins and losses and this last game is a good reflection of that. We played as hard as we could, we fought as hard as we can, and sometimes that’s all you can ask. And I’m really proud of our guys for doing that,” said Doll. However, the lack of a crowd at the game was a disappointment. 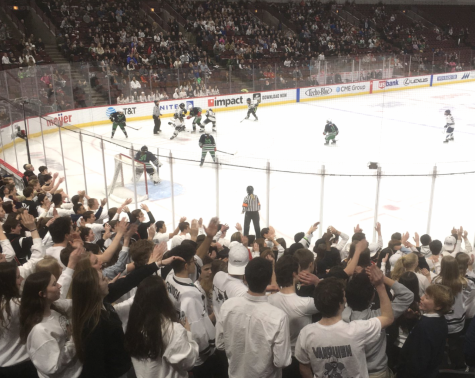 New Trier will be playing Loyola again during week two next year. “We’ll have the opportunity to play them two years now, next year at home so hopefully we’ll get a better crowd than we got this week,” said Doll.